The only kind of STD I like. 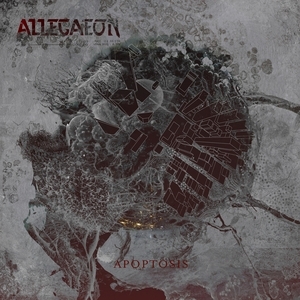 Apoptosis is all that can be expected from Allegaeon, a tech grooving death metal assault, which rests on the same rather distinctive well-known formula of the band's previous albums, and although the band never really get out of their comfort zone, Apoptosis is more stimulating and less exhausting than Proponent For Sentience, despite having 11 songs and more than 55 minutes, revealing a more focused and effective songwriting. Personal highlights: Extremophiles (B and A), Metaphobia, Stellar Tidal Disruption and the title track. This is pretty good and it seems to be growing on me so I may end up bumping this up to a 4.0. Love how consistent this band is. The album is such a banger and this band can really do no wrong at this point.